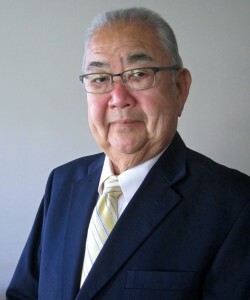 The Manzanar Committee announced on March 25 that long-time public servant, community leader, and grass-roots activist Warren Furutani, one of the co-founders of the first organized Manzanar Pilgrimage in 1969 and of the Manzanar Committee, has been chosen as the 2013 recipient of the Sue Kunitomi Embrey Legacy Award. The award, named after the late chair of the Manzanar Committee who was also one of the founders of the annual Manzanar Pilgrimage, and was the driving force behind the creation of the Manzanar National Historic Site, will be presented at the 44th annual Manzanar Pilgrimage, scheduled for 12 p.m. on Saturday, April 27, at the Manzanar National Historic Site, located on U.S. Highway 395 in California’s Owens Valley, between the towns of Lone Pine and Independence, approximately 230 miles north of Los Angeles. Furutani, 65, was already a grassroots community activist and civil rights advocate when he became one of about 150 people who made the first organized pilgrimage to Manzanar on Dec. 27, 1969. He talked about that experience during an event at the Japanese American National Museum on Oct. 8, 2011. With very little knowledge about the camp experience, those who went to the 1969 pilgrimage had no idea what to expect when they finally found the Manzanar cemetery, where the pilgrimage is still held to this day. “We started walking around, and it was like discovering a shallow grave, where the elements had blown the top layer off, and then the grave was exposed, and you could see a whole history,” added Furutani. Since then, Furutani has dedicated his life to equal opportunity and social justice, focusing his efforts in the areas of education and public service. In the mid-1970s, Furutani worked with gang members as a counselor at Central Continuation High School in Downtown Los Angeles. In the mid-1980s, he worked at the UCLA Asian American Studies Center, where he served as a mentor to students and the leadership of UCLA’s Asian American/Pacific Islander student organizations, encouraging them to get involved in their communities. In 1987, Furutani entered the political arena, becoming the first Asian Pacific American/Pacific Islander to be elected to the Los Angeles Unified School District Board of Education. Twelve years later, he was elected to the Los Angeles Community College District Board of Trustees. In 2007, Furutani was elected to the California State Assembly, representing the 55th District. He served as chair of the Assembly Public Employees Retirement System and Social Security Committee, and as chair of the Select Committee on Career Technical Education and Workforce Development. Furutani also founded the Community College Caucus, and was a member of the Higher Education Master Plan Review Committee. Furutani, who retired from the California Legislature in November 2012, authored Assembly Bill 37, which granted honorary college degrees to Japanese Americans whose education was disrupted due to their unjust incarceration during World War II. Since the bill was signed, thousands of Japanese Americans have received honorary degrees from college campuses throughout California. Furutani, who was born in San Pedro and was raised in Gardena, is now a senior fellow at UCLA’s Luskin School on Public Policy, and was recently appointed as a commissioner on the Los Angeles Board of Public Works. Manzanar Committee Co-Chair Bruce Embrey praised Furutani for his more than 40 years of community activism and public service. “Warren Furutani will receive the Sue Kunitomi Embrey Legacy Award for his leadership on many levels,” said Embrey. “As one of the main organizers of the 1969 Manzanar Pilgrimage, and co-founder of the Manzanar Committee, Warren will always be recognized as being key in galvanizing the community to win redress, and preserve the history of the incarceration of the Japanese American community. This year’s pilgrimage will commemorate the 25th anniversary of the signing of the Civil Liberties Act of 1988, which granted redress to Japanese Americans who were forcibly removed from their homes during World War II, or their immediate families. The afternoon program, held at the Manzanar cemetery site, will begin with a performance by UCLA Kyodo Taiko, the first collegiate taiko group in North America, and will also feature Karen Korematsu of the Fred T. Korematsu Institute for Civil Rights and Education. It will conclude with the traditional interfaith service and onto dancing. In addition to the daytime program, the Manzanar At Dusk program follows that same evening, from 5 to 8 p.m., at the Lone Pine High School auditorium, located at 538 S. Main St. (Highway 395) in Lone Pine, nine miles south of the Manzanar National Historic Site, across the street from McDonald’s. Manzanar At Dusk is co-sponsored by the Nikkei Student Unions of Cal State Long Beach, Cal Poly Pomona, UCLA and UC San Diego. The Manzanar Committee has also announced that a few seats are still available on the bus to the pilgrimage from Downtown Los Angeles. For further information or to make a reservation, call (323) 662-5102 or email [email protected] The non-refundable fare is $40 per seat. Those wishing to attend Manzanar At Dusk should make other transportation arrangements. Pilgrimage participants are advised bring their own lunch, drinks and snacks as there are no facilities to purchase food at the Manzanar National Historic Site (restaurants and fast food outlets are located in Lone Pine and Independence). Water will be provided at the site. Both the daytime and evening programs are free and open to the public. For more information, call (323) 662-5102, email [email protected], or check the Manzanar Committee’s official blog at http://blog.manzanarcommittee.org.